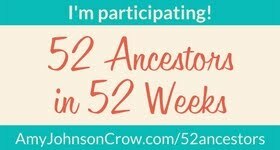 In my previous post I discussed how I figured out the parentage of children discovered in the census with grandparents. This was quite common as women could not get help from the parish without disclosing who was the father of the illegitimate child. I have a photograph of a copy of one certificate where an amendment was made. It is interesting to note that a few years later the census actually shows him as grandson. So parish records and birth certificates may tell you who the parents were but unless you have a direct line ancestor it can become expensive to get certificates for all the extended family. Henry and Mary Ann Dennis nee Gadsby had 3 children according to the 1911 census. Rebecca (who was born prior to their marriage), Elizabeth Ann and Lucy. Elizabeth Ann Dennis married John Harris who is also a relation via another branch of the tree. Rebecca is the mother of George Henry Dennis and is proving to be elusive. Lucy married Frederick William Harby in 1891 and is with him in the 1891 census. I could not find her in the 1901 census so was wondering if she had died. However a look at my Ancestry tree hints suggested she may have divorced him. Documents pertaining to this divorce can be found in this record group on Ancestry. The National Archives has a research guide to help anyone who has not used divorce records for their research. It is important to note the years covered are very limited. The file revealed in quite a lot of detail who the family were and what had happened. There were 2 children from the marriage and custody was granted to the mother. Why was only one child, the daughter, living with the grandparents where was the other child? A search in the 1901 census showed him living with his paternal grandparents. I also found Lucy Harby as I now had a better idea of where she might have been living in 1901 just a year after the divorce case. In the next part I will reveal where she was and how this linked up with an emigration.